This is especially true of creating your artist website. There are many options available to you if you’re up to building your website yourself (we put together an Ultimate Guide to Choosing an Artist Website Builder to help you decide). You may decide, however, that you don’t have the time or the desire to dive into such a large task, especially if it falls outside your skill set. In this case, you can hire a web designer or developer to do the work for you. Here’s how to do it. You’re finding building your website excessively stressful or you just don’t have the time. You want a custom design to match your branding. You want special features, or an appearance not available from a drag n’ drop website builder or template. When should you hire a web developer? You want increased connectivity between your website and your shopping cart/apps/etc. 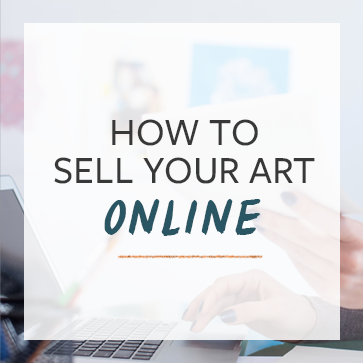 You want to sell complicated products (size/color variations, customizable items, etc) or digital products like e-courses. Determine your budget before you begin; what do you absolutely need to have a professional do for you? What could you let go of if it doesn’t fit your budget? A custom built website will start around $3,000-$5,000. Hire a designer, then implement the design yourself. In that case, a pro designer may run you only $1,000-$2,000. If your budget is too tight to hire a quality developer or designer, your next best option is to use a custom template from Shopify or WordPress. A custom template from Shopify will cost you between $140-$180. Popular and highly customized WordPress themes like Divi (see our Divi theme review here) will run you about $55. Word of mouth is best! Ask fellow pros whose websites you admire for their recommendations. A note on freelancer platforms: the quality you will find on platforms like Upwork will vary dramatically. These platforms usually provide ways for you to see how many hours a developer or designer has billed through the site in addition to feedback from past clients, but caveat emptor. Some designers are also developers and vice-versa, but if you’re looking for an all-in-one package to take you from blank page to beautifully designed and completely functional website, expect to pay more. You need to know what you want before you begin requesting quotes. When making the decision to hire a designer or developer to help you build your website, you will do yourself a tremendous favor by entering in to this endeavor with a clear budget in mind and a list of exactly what you want. This list should include what you want your website to look like (lots of examples of beautiful themes here and here) as well as every page you want included, and any special functions or utilities such as eCommerce, live chat, contact forms, event registrations, etc. We even recommend doing a rough sketch of what your website should look like, so your designer can have a good place to start from. Have you hired a pro to help you with your website before? How did it go? Great article! But I want to add a few footnotes… hope you don’t mind 🙂 I’ve seen quite a few artists paying hundreds of dollars for a website which turned out to be the simplest basic template from well known website builders. The ‘developer’ had done next to nothing to personalise it except fill in the blanks. Seriously, building a website can be very, very easy these days and it might well be much easier to build it yourself than to figure out if you are taken advantage of. Many artists’ sites are fairly simple (compared to big business sites) and so having to pay a lot seems unnessary. If you don’t have a budget, try asking students, friends, kids – show them a site you like and ask for something similar. But if you can, at all, do it yourself. The free templates on WordPress are very good so you don’t need to spend any money on that. 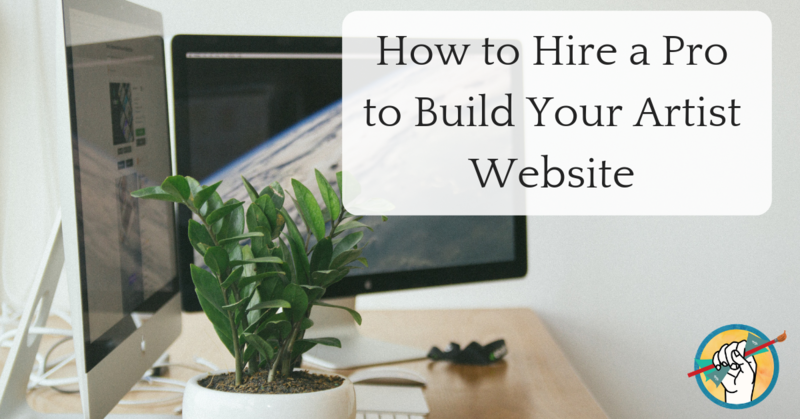 Use builders like Weebly or Squarespace and it becomes a doddle. Do make sure you get your own domain though; I do think, unless you are a kid or really just a hobbyist, you need your own domain. But DIY if you can, or else make sure you don’t get ripped off.